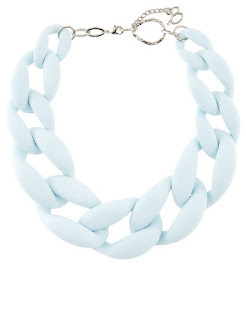 Anthropologie have always been a high street go to for affordable jewellery. 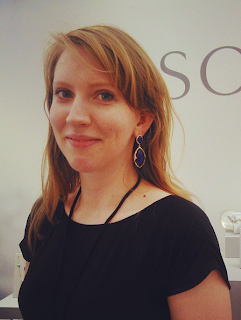 There designs reflect trends from all around the world and they often work with independent designers to promote different aesthetics. 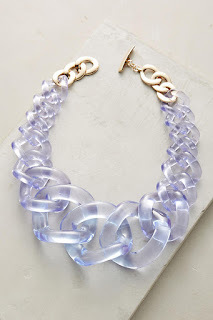 I recently noticed a certain similarity between Anthropologie's lucite necklace and Diana Broussard's iconic chunky Nate plexiglass and resin necklaces. 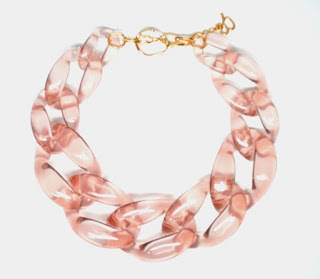 Diana Broussard's necklaces come in so many different colours and are hand made in Italy. 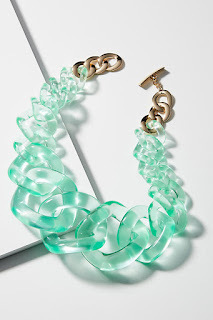 Diana Broussard's plexiglass necklaces is a mixture of Italian craftsmanship with New York aesthetics. 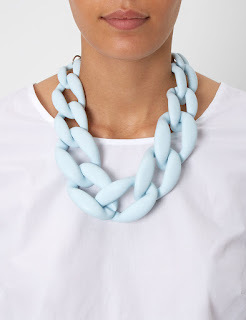 So what are the differences between these two necklaces? 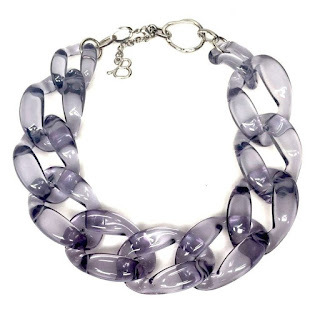 The Anthropolgie necklaces are advertised as lucite plastic and Diana Broussard are plexiglass. Lucite and plexiglass are both acrylic plastics so there is actually little difference in the materials. You might also notice that the clasps are very different. The Diana Broussard are much more dainty with a B on the end. 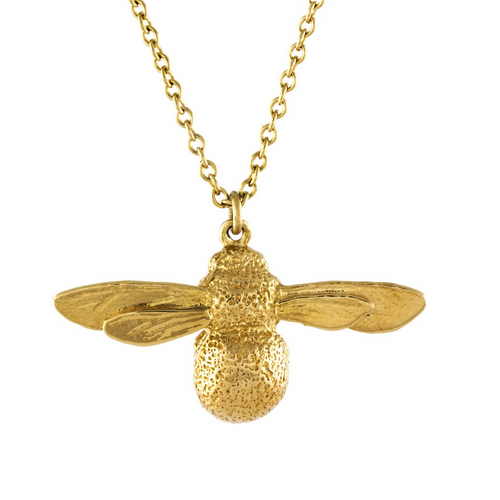 The Nate necklace has a gold plated clasp and the Anthropologie one is described as plated metal. 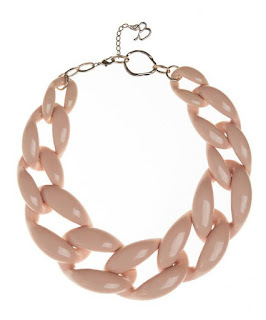 The main difference between thee two necklaces is how these two necklaces sit. 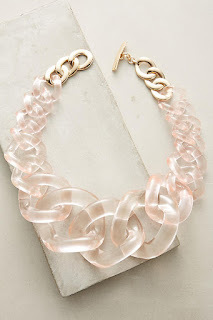 The Nate necklace by Diana Broussard does sit nicely on neck line. 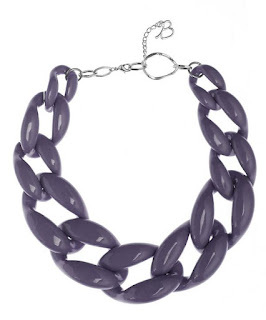 I've seen these necklaces in stores and they do look stunning, especially in the matt colours but they are surprisingly chunky. Interested in seeing other Save or Splurge posts? Check out all previous posts here.